In world class sporting competition, pressure is not only expected, it's guaranteed. But pressure comes in many different forms such as the need to score crucial championship points, just ask Casey Stoner after his crash at the Sachsenring. Pressure can also come from the desperation to prove a personal point, and keep hold of your job, as Ben Spies demonstrated in Barcelona. 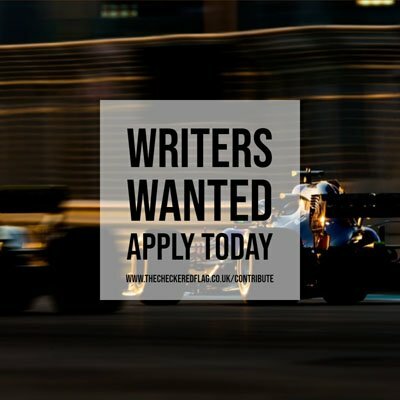 But try racing at a circuit less than sixty miles from your own factory with not just the hopes of a factory, but an entire nation on your shoulders. With Japan dominating Grand Prix motorcycle racing, having won the last 27 races, the Italian flag isn't flying as proudly as it has in the past and with Mugello upon them, Ducati are under intense scrutiny. Having one of the country's most popular and beloved sportsmen in their ranks certainly increases the attention and with Valentino Rossi on a winless streak even longer than his team, he will be feeling the heat too. The nine-time world champion isn't promising that much-craved victory but says 100% effort is the minimum requirement this weekend. Teammate Nicky Hayden trails Rossi by six points in the championship despite having a superior record in qualifying this year and the American is looking to embrace the challenge of racing on the team's home turf. The added motivation for Nicky may also come from his current lack of job security as the rumours surrounding Cal Crutchlow's possible switch to Ducati continue. Rossi's exit from the team which weeks ago seemed certain, now appears to have been postponed thanks a major change upstairs at the company. In April, Audi completed a takeover of Ducati and at last weekend's German Grand Prix, the Audi CEO Rupert Stadler was in attendance, seemingly to give assurances over the future cash injection into the team. Stadler also visited the workforce in Bologna this week and made the following pledge. Any changes from the new company structure won't filter into this weekend though, meaning the fight to finish on top of the podium is likely to be between Yamaha and Honda, three riders in particular. Jorge Lorenzo leads the title chase by fourteen points from Dani Pedrosa who catapulted himself into contention with his win in Germany, combined with his teammate's last lap aberration. The Tech 3 Yamahas will be snapping at their heels again and wouldn't Mugello be the perfect place for Cal Crutchlow to claim that first podium if the paddock gossip is to be believed? Andrea Dovizioso will have something to say about that though as he enters his home Grand Prix. He's stood on the rostrum at the last two races and currently leads the inter-team battle in the championship. Ben Spies has found himself close to, and often behind, the satellite Yamahas this year and with his teammate fighting a two-on-one battle against the Repsol Hondas out front, the factory team will be desperate for their man to offer Lorenzo some help this time. This weekend will be an emotional one for San Carlo Honda Gresini who return home for the first time since the tragic loss of Marco Simoncelli. Alvaro Bautista and Michele Pirro will race in the old white and red livery in tribute to “Super Sic” and Bautista will look to honour him with a podium. He certainly thinks it's possible. Stefan Bradl knows all about the stress of racing at home after his experience at the Sachsenring but the German seemed to relish it, he will look to utilise the power of the RC213V on the 1.141km pit straight. 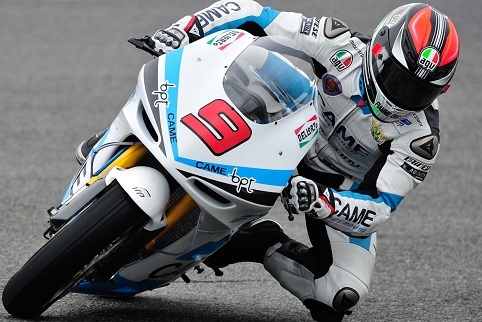 Hector Barbera was close behind Bradl last Sunday and shone at Mugello last year. The Spaniard will ride the sole satellite Ducati as Karel Abraham sits this one out through injury. The CRT pack will surely be led by the Aspar team once again but a trio of home riders will aim to cause an upset. Michele Pirro says he has the pace to challenge if he puts a clean weekend together but Mattia Pasini and Danilo Petrucci may not be able to say the same, particularly the latter who lacks some serious grunt in a straight line. It says a lot about the power of Ducati that the packed grandstands are unlikely to be roaring their support Michele, Mattia or Danilo. Their national team has already taken one high-profile beating from the Spanish this month but if their motorcycling hero can upset Lorenzo, Pedrosa and co, brace yourselves for a celebration like no other.